Hi everyone. I have been doing the St Martha faithfully by saying the novena and lighting a red candle for 6 weeks. However, I have come to realize I did not begin it properly nor did I choose between the two different Marthas. Also, St. Martha Dominator Lubana has been showing herself to me A LOT in the past week or so. And I certainly wasn't (consciously) looking for her. I know by reading here that I must introduce myself to her and I really don't want to mess this up any further since I strongly feel she's showing herself to help me with what appears to be an impossible task. If you could let me know if my plan from here on out is right, I'd be very appreciative. Should I set it all off by lighting a white candle and apologizing for the misunderstanding and ask for another chance? the fact you keep seeing St. Martha the Dominator a lot in the last week would be a sign that the saint is willing to work with you. I would petition her as directed. Make sure to pay the Saint when done. Best of luck! Thank you j82. She sent me a snake today. I am so excited to work with her. I have never has a saint reach out to me the way she has. Wrong forum, sorry (it won't let me delete). I have to say I love St. Martha. Whenever she wants to work with me she shows me snakes. I get alot of signs from her. Been happening for awhile. I finally decided to work with her yesterday. Last night I saw a video of a big anaconda snake dominating a little dog, and dragging it under water with it’s body wrapped around the dog. ( The dog was saved. Thank God), but I took that as a sign that St. Martha is showing me she wants me to work with her. She is awesome. I also talk to her while I have her candle going. All you need is her pic framed, glass of water on the left side, and candle on the right. I gave her spring water. I definately will be spoiling her. I am doing my novena everyday, nit every Tuesday, although I have done it that way before. I also have her altar on the floor. I am new to the site and new to working with Saint Martha/Filomena Lubana. I just started working with her yesterday with a green candle, picture of her and few offerings. I’m not sure if these are solid signs or not but Monday night before I went to bed I asked if it was okay if I work with her. Well loud and clear into my sleep I heard very loudly “LUBANA”!! And it looked like shadows running past my bed. I’ve been seeing snakes for a while now. Do you all feel that name call was a clear sign of yes? Thanks I’m advance! Will someone who is familiar with St. Martha chime in on my experience, please? Not asking for divination at all. Just confirmation. I bought a red vigil candle and put a picture of St Martha Lubana on the front. I started a new 9 week novena with her on Tuesday. I felt it wasn't enough since she had sought me out, so I added a red chime candle with it for Tuesdays and decided the vigil to burn down on its own daily since I'm drawn to speaking to her that way. The light on the vigil candle wasn't too impressive (steady, but not huge - could have been the candle itself, nothing more - but the chime candle flame was) and I got worried, so I asked her for a sign to keep it red or to change to green. She confirmed red was fine and that she was here for me. Well I relit the vigil today and the flame is not only bigger, but it's been dancing like a tree in the wind for hours. There is NO air going into the room at all or anything that could make it artificially do this. If it matters, I was shown The World card during my reading today. We dont generally read candle work without seeing it or experiencing it, why? because it can be very personal. I have a friend who hears signs and names and is always correct, I dont hear names as a sign or often I feel it or see it. We are all gifted differently. Now a dancing candle means a spirit is communicating with you. Listen using your sense or tools to that message. Prior posting you mentioned a sign to work with her and it has seemed confirmed. Trust it and follow the work. Thank you again j82. I am still making my way through this thread so I wanted to ask the vets their thoughts on the literal 180 change in the way the flame is going. It's still dancing like Baryshnikov. I'm so excited that St martha and I are getting along so well. She seems to be quite a dynamic saint. Anybody needing to reconcile with an ex trust that Saint Martha is very powerful and can change any situation. If she chooses to work with you. She has been so great to me. Thank you Mama Lubana (what I call her). I love my new statue of her. Her presence is so calming. Hi Miss Cat. I am sorry for the miscommunication since I put in my other post that I wasn't looking for divination (I know they're not done on the board). I was just looking for assistance from someone who has worked with St. Martha before about why the flame would go from standard to dancing. 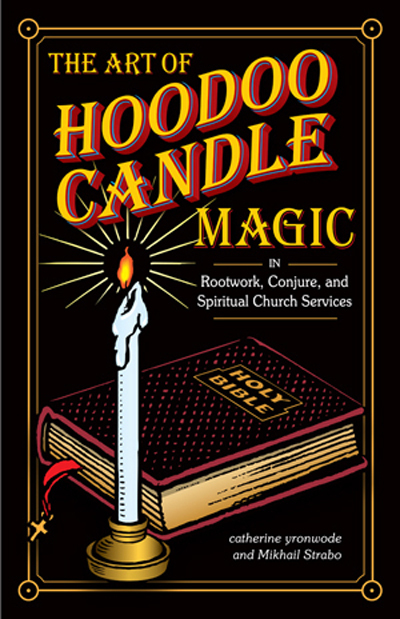 I will try the Candle Divination thread and I already have 3 of the books, so I may have to add Hoodoo Candle Magic to my collection. It's not high and low dancing (sorry for the confusion). The first day it wasn't high (but I think it's the vigil candle itself since the stand alone candle burned high, steady and bright), but it also was not low yet it was steady (not moving at all). It then got higher and started to dance and has been steadily doing so for over 24 hours. I appreciate your help, Pyromancer, I've given you a lot of kudos in another thread (don't want to say to much here). I believe so much in St. Martha. She sought me out so I know she'll come through. Thank you for the signs and guidance, St. Martha. I await your miracles in my life and to be able to add my testimonial to the many others of your great power. Dang Pyromancer. You are so amazing! As is St. Martha. Does anyone know why St. Martha would show herself A LOT in one day to someone who she has already agreed to work with and has started the novena? Thank you Mama Lubana(what I call her) for coming through for me with my boyfriend. Thank you for willing to work with me. I am forever grateful and humble to you. I know you will always be there for me no matter what. I love you. It would indicate a message or trying to get your attention to notice something. Pay attention to what is going on or around whne you see the signs. Thank you j82 and Pyromancer both for the answers. Thank you Mama for your attention and love. I wait for the day I can post my testimonial to your miraculous power here alongside the many others. Pray about it. Seems like you got the items needed to please the saint. I think you pay the saint after the work is done. Pyomancer, do you mind if I ask what your petition was? Are you getting what you asked for, or more than what you wanted? My petition was to get this guy that is in the public eye to be with me. Like he is on Wikipedia, and has some fame. I asked for him to submit me. He showed me today he made me something, and he bought me a ring. I just did the prayer that was on this thread, got a pic of St. Martha, anoited a red candle with Attraction oil, put that on the left of her pic, on the right a glass of spring water. I akways carve my petition on the candle. Thank you j82 for that advice. My sweet, sweet St. Martha, thank you time and time again for all that you continue to do for me without me even asking. You know what is in my heart and I will continue to praise you and spread your name. Today I petition saint Martha la dominadora. Though her day is originally Tuesdays. But I just needed her. I believe if you really need her she'll come no matter the day. Anyway I got a 3 day candle, into I can get my 7 day candle. I put five holes into the candle, put her oils into her green candle. With snake oil. I brought black coffee as an offering with two sugars. Wrote my petition and burned it inside her candle. As I read her prayer and I cried, speaking from the heart ,I felt chills and I explained to saint Martha my situation. And I told her I don't have much , but I told her what I can do for her thank her every Tuesday and spread her greatness, though i didn't get results yet, the candle is burning now with a big flame , i believe its saint martha going back in forth with my ex , I believe it's her fighting him because he's stubborn and just like she conquered the dragon at her feet she will do the same for my ex. I just turned on the TV and a cartoon appeared "Sanjay and Craig " and you would not believe "Craig" is a green snake. I want to say thank you Saint martha ,THANK YOU FROM THE BOTTOM OF MY HEART. I TRUST YOU WILL BRING HIM BACK. YOU ARE POWERFUL , YOU ARE GREAT, I LOVE YOU SAINT MARTHA LA DOMINADORA, thank you and I will keep my promise. Thank you for all that you are doing for me! I promised to her to publish a miracle and she has done it again, so here I am. I was dating a guy, everything was okay for months till this guy after summer started to behave in a weird way and one day out of the blue, he decided not to say hello to me. We were appart for two months with no explanations from his side. He literally disappeared. I was waiting for him but when he saw me he behave like I was a total stranger. I believe that he's dating other girl. So I petitioned to Saint Martha, who has always helped me, and the revenge chance happened. This guy has bitten the dust, bye bye to him. So thanks Saint Martha for your wonderful help again. I petitioned her about other guy in the past who was a total pig to me and she kicked hard! I absolutely love her. Thanks again my dear. I would also like to say thank you to Saint Martha. She has not yet granted my petition but she shows me that she is there for me and tries to keep me strong while she works on my issue for me. When I light candles on her altar, the candle flickers like I’ve never seen and I believe this is Saint Martha showing me that she’s here for me. I believe in her and I feel her presence with me and felt compelled to tell you call to entrust her with your issues. I will keep you all posted on how she deals with my issues. A typical or traditional offering is flowers, colored candles, water, some use alcohol or liquor depending on the saint or spirit, some use florida water. White flowers, iv seen red and green candles based on her colors. Sweet cakes are common or even fruit. There are all traditional and will very slightly based on who you ask. I have a friend who works with her and this is her typical items. The cake you mentioned would be acceptable. My sweet, sweet Santa Martha! Thank you for all you’ve done and continue to do. For continuing to be ever so present in my life! I want to publicly praise St. Martha who tied down a wicked boss for a family friend. She tamed him and kept him from unjustly firing a good hard working man. If you are having problems with difficult bosses or authorities St. Martha is an amazing friend and ally. I did a Novena to for nine weeks plus four, burning two candles with her image on them and offering bread honey and wine every Tuesday as well. Not only did the bad boss become unable for political reasons to fire my family friend, the other employees reported how bad the boss was to upper management and he had to treat my friend nicely. St. Martha is an incredible friend and helper and I cant encourage devotion to her enough. Thank you Santa Marta for your protection. Hi I'm interested in working with St. Martha to return my ex. If I use a glass vigil candle would that be ok? I was going to light it on Tuesday and then light it everyday (keep it burning as long as I can each day and snuffing it out when I go to sleep) Is this ok and is there anything else I should do besides pray and leave her offerings? This link has 47 pages of discussion about St. Martha, how to work with her and what to use. It is always suggested to get a reading to see if it can happen and if she will work with you an AIRR worker can do that for you. LM sells a St. Martha glass encased candle dressed with proper oil and herbs. Read the forum to determine the best items to offer and how to best work with her. Rootworkers who work with saints is actually a very small number, most are protestant. Hope this helps a bit. I want to do the 9 consecutive Tuesday prayer. However, I just realize that I will be out of town for vacation week 8 and 9. Is there something I can do to work around this? I would like to start ASAP and cannot wait till I return. Thanks! While out of town do the prayer with a tea light candle. If I’m unable to burn a tea light would it be ok to pray just with her picture? I would try that with some offering to the saint, flower, water, wine etc.. something. Maybe even have LM set a candle those two weeks you are gone and pray on the tue as you planned as those as your candles. If you order them early you can specify the days to be lit so they will be burning that day. I will do that thank you! I only just started her novena & it burned funky the first day, so today I asked for a sign on the way home that she's taken my case (I'd divined on this & it was positive, but still). As a snake. St. Martha, you have an admirable sense of humor, and thank you for your graciousness in taking my case. P.S. I know signs are individual & this probably seems like nothing, but man, the way it hit me...it really cracked me up all alone in the car, lol. I just wanted to say thank you St. Martha for providing with protection. I know the sign I received as a black feather was nothing but you. Thank you!!!!!! Thank you for showing my signs that your bringing my dad back to me Saint Martha!!! I know that in working with St. Martha, her novenas are usually 9 Tuesdays. and she likes sweets and the flowers for her are daffodils. I also spray her statue with my most expensive perfume when I am done with the prayer for the day. But when you work with her, or any other saint, you should not just pray to them when you need something. Why would they want to help you if you only revere them when it is convenient to you, you should say a little prayer to them at least once a week. Today was my 2nd Tuesday doing St. Martha's novena. Last Tuesday, the candle burned so weird (and not long enough, frankly), that about 1/4 of the top layer of wax clung to one side of the glass. The flame was somewhat puny. Today, same thing w/ the wax, but the flame is considerably stronger & dancing (I can tell now that the wick is not centered at all, but that's neither here nor there, I still picked this candle, right?). I did get a reading from an AIRR member confirming St. Martha was willing to take my case. My question is: since this candle is clearly so messed up, and will probably/predictably continue to burn that way, would it be okay to scrap the candle and restart my 9 Tuesdays w/ a new one? Or is that akin to "cheating" or like getting readings until you find the answer you want? Or does the wax in this case not even matter? You could try divination to ask St. Martha directly if you’re truly concerned. However, what i’ve found to be the case with some of my own candlework is that many of the glass-encased candles manufactured nowadays are of somewhat poor quality, using sub-par ingredients (Miss cat has addressed this specific topic both here on the boards and in her book, The Art of Hoodoo Candle Magic). I was worried about my candles, too, in the beginning. But I soon realized that it wasn’t necessarily always my spells that were going wrong. Yes, candle divination is important and can give you a really good feel for the success or failure of a spell, but sometimes it’s just the candle. Try to remember to have faith in your work: questioning everything can undermine what you’re trying to accomplish. Remember, too, that Saint Martha is very powerful, and she doesn’t really like “wishy-washy”-ness. Trust your AIRR reader as well - they’re not going to steer you wrong! I would wait and continue the candle, I have seen candles start out messy and end clean. That is a sign to the work. As Miss Reece stated candle quality is a big factor, I can buy a 7 day novea candle from the Dollar store, or get one from LM, one is made quality the other is mass produced and will likely burn poorly. You are correct to divinate that you did pick that candle, which means to me still obstacles exist in the answer of your prayer. Amblingphoenix, it may be worth getting a reading or checking on the target for an update. My candle did the same on the 2nd week too and I actually came here to say Saint Martha really does look out for women and detests abusive men. I read if she really dislikes the man she will run him out of your life and boy did she. I found out this man is known for being an emotional manipulator and it never ends well for him. Thank you Saint Martha for your patience as I work through the current chaos of my life. I know that I haven't been as devoted as usual, but I still feel your guiding presence every day and I promise that now that things have calmed down, I will return to my previous diligence. And thank you for all that you've done regarding the man; I trust that you'll lead me down the right path with him even if it doesn't go the way I'm hoping it will. I had to come back to say thank you St Martha for all of the amazing movement I’m seeing. I’m trusting you with all my heart! Not a question, just want to share. 3 weeks and a day ago I had lit my Saint Martha vigil light and wrote my petition for her, spritzed it with my favorite perfume and set it under the candle. I talked to her everyday and said my petition everyday until the candle was complete. It was the clearest burning glass encased candle I have burned in a long time so I took that as a good sign. And she answered my petition today! Thank you Saint Martha!! Ps - baking her some pound cake right now to serve her with coffee and flowers while I burn a candle in her honor tonight. She is definitely someone I am going to continue to work with.